I love the game of baseball! But it is has become so much more than a game to me now! 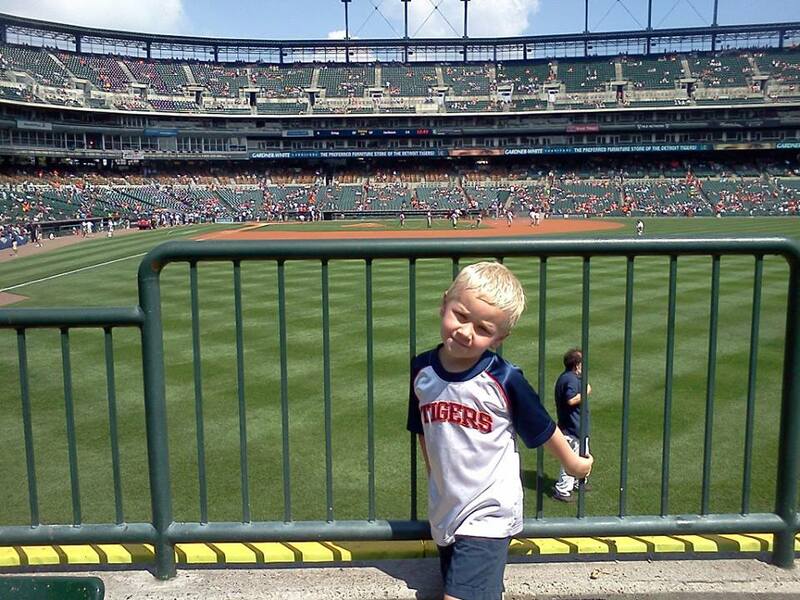 I was able to take my son, Brandon to a Detroit Tiger game at Comerica Park on Thursday, August 29th. It was a great game. The Tigers came back down 6-3 in the ninth to win 7-6 after Torii Hunter hit a 2-out 3-run homerun. What a game to go to. Now this wasn’t Brandon’s first Tiger game, his first was when he was 6 weeks old. But this was the first game where it was just him and me. It got me thinking about all those games growing up that my dad took me to. 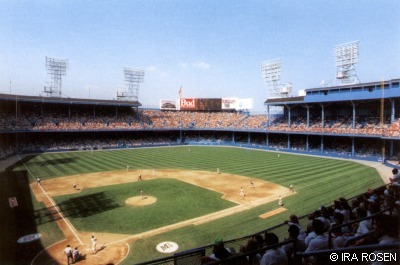 I loved going to Tiger Stadium! The smells, the crowds, the junk food all made it so interesting and enjoyable. But then there was the game. The game I wanted to play when I grew up, my dream! It was a highlight growing up, especially all of those opening days. I couldn’t wait till they played the song “Centerfield” because that meant the Tigers took the field! 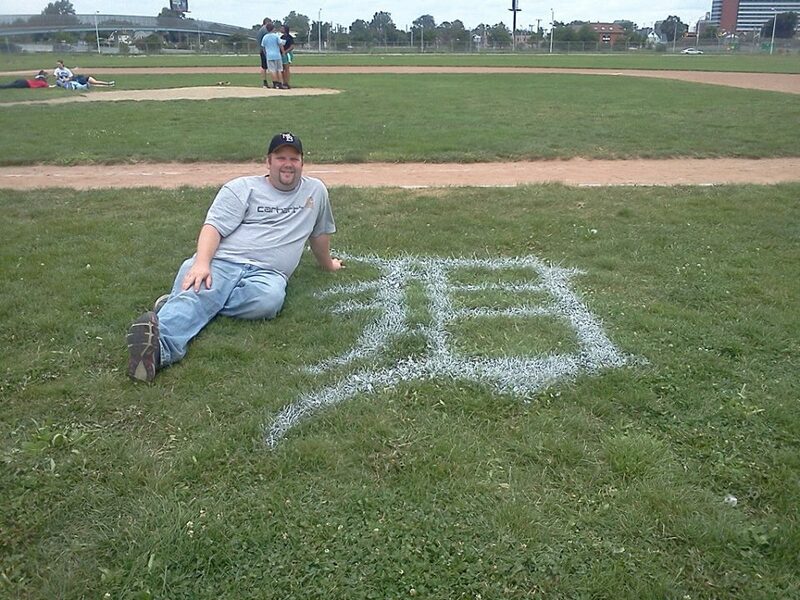 I have many fond memories of going to see the Tigers! I even got to go back to where the stadium once stood with Brandon. The field is still there and all of the memories of everything that went on still lingers but the building, the stadium is gone! And that makes for an interesting point. Its not the building, it was the people that made this place so great. The love for the Tigers, the love for the game. The love I had going there because it was with my dad! My dad helped me to grow to love the game of baseball. He, I assume, learned form his dad the love for the game and how to play. 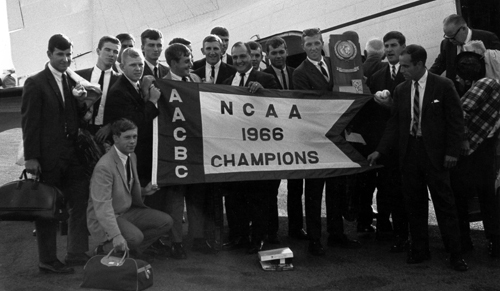 My dad eventually played at that Ohio college in Columbus 😉 and even won the College World Series in 1966! This love that my dad had/has for the game, he transferred to me. Now I didn’t play in college but nonetheless I love to watch, go to games, play catch, and see if the Tigers can win another World Series. And a new chapter begins with me and my son. I get to take him to the game that I love and have great memories that will last throughout the rest of our lives! This was just the first of many to come. Hearing him scream and yell and have a great time makes this one happy daddy! It good to know that I can pass this love of the game down to at least one more generation. But like I said in the beginning, it is much more than a game…I love to see my son have a good time and laugh. I am glad I get to enjoy this time with him! So thanks dad for loving me and passing down your love so that I may do the same thing with my son! Thanks for playing catch and for teaching me how to keep score. Thanks for taking me to all those games. But mainly thanks for being a part of my life when so many others don’t or didn’t have a father in their lives! Dad, I love you! And just as we went to many games to cheer on the Tigers, Brandon will learn of this love too! This game of baseball is much more than a game to me. This is the love of one father to his son that will never be forgotten and that will carry on to the next generation and beyond! And to close out: John Fogerty and “Centerfield”. Thanks again dad! Love you! Goooo Tigers!